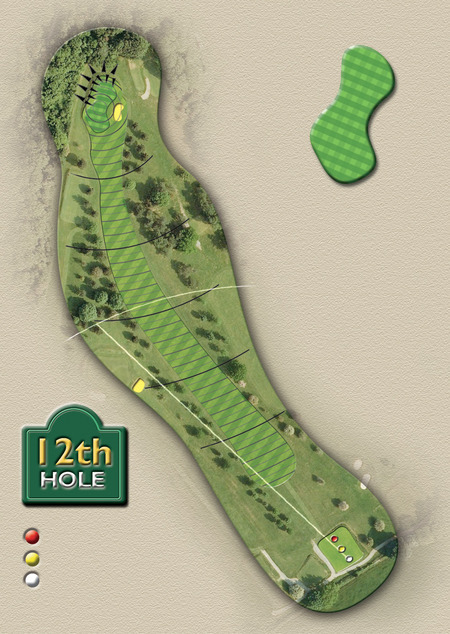 A tricky hole this - the 12th – from both the Men’s and Ladies tee - where everything slopes from left to right. 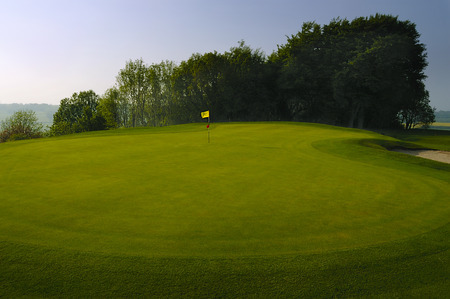 So, best to aim your drive as far to the left as you can as it will trickle down into the middle of the fairway. A slight dog leg right, the green is tucked a long way around a fairly narrow corner with trees on either side. A kidney shaped green awaits.